Above: His parents, Loukas and Chrysanthi, with his siblings, Gavriil and Hariklia. Above Middle: With a friend; Ioannis is on the right. 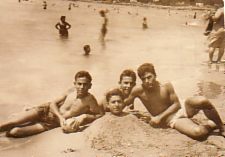 Above Right: Having fun with friends at Nea Makri, Athens, Ioannis is the buried one. Above: Working as a carpenter on the building sites in Athens. 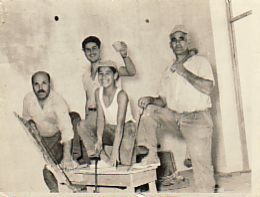 Ioannis is third from left; he began working on sites from the age of twelve. 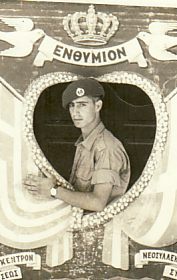 Above Middle: In the Army during his National Service. 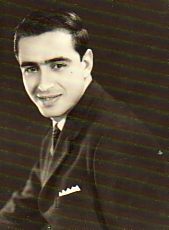 Above Right: In Sydney in the mid- 1960's. 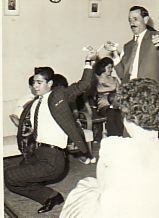 Above: Dancing with his cousin, Ioannis Karamihalis. 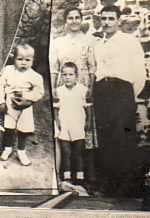 Above Middle: A portrait of his brother, Panagiotis. 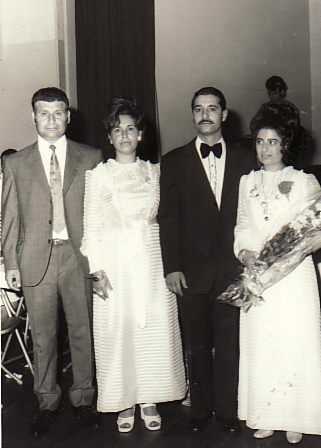 Above Right: Dancing with his fiance at the time, Mersini Kougiou. Above: At his engagement party with his sister, Hariklia, and her husband, Loukas, and his fiance, Mersini. 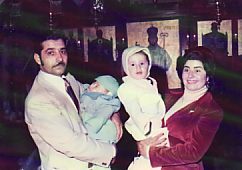 Above Right: With his wife, Mersini, and their children, Pavlos and Loukas. 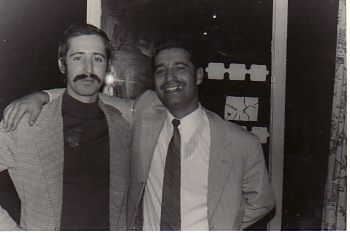 Above: With his brother, Georgios.